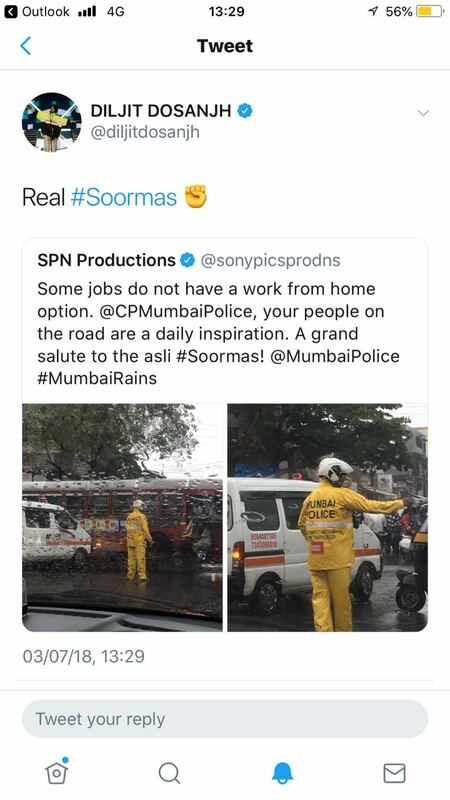 Actor Diljit Dosanjh who will be next seen in legendary hockey player Sandeep Singh’s biopic Soorma recently tweeted and praised Mumbai Police’s work and acknowledged them as the real Soorma’s. Yesterday India’s economic capital Mumbai faced a lot of problems on the road while traveling due to heavy rainfall but as always Mumbai Police came to everyone’s help. Shaad Ali recreated Sandeep’s real life scenes!